This past Christmas, our nephew gave everyone a present we could not return. The norovirus. A nasty stomach bug that attacks the lining of your stomach and gi tract. Had we known how bad it was, we may have delayed crossing the mountains to spend the holidays. But, since we had gifts for the OK kids that were too delicate for shipping, we pressed on. Skip ahead to Christmas day, we returned home from the sick fest only to be caught in the nasty web ourselves. I brewed a batch of this tonic, and while hubby refused to drink more than a sip, this kept the nausea and vomiting at bay for myself. The only reason I can contribute to me not getting this, but 7 others did, is the prior 45 days of AIP (healed leaky gut) and this tonic. 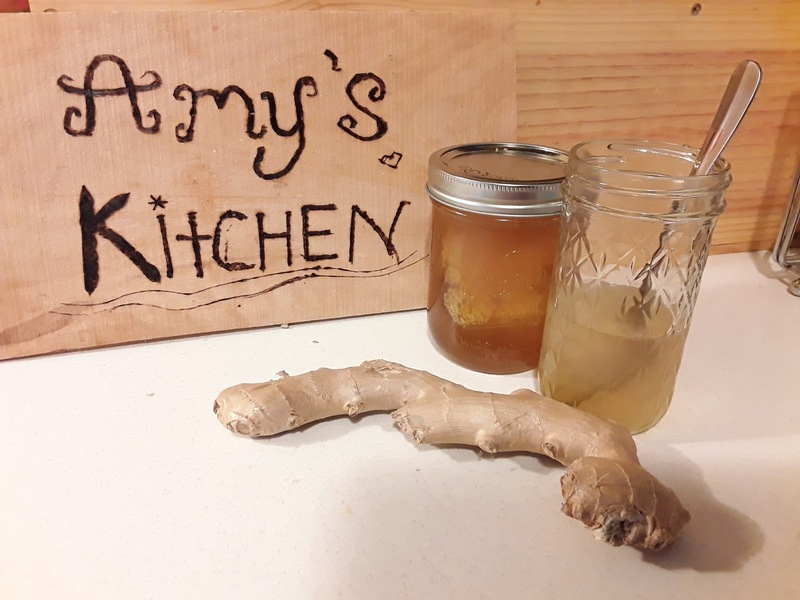 Amy's Special ginger brew to ease nausea and stomach upset. 1 large piece of ginger root(4-5 inches in length), peeled and chopped into slices. Bring water to just under a boil, add a splash of the vinegar, salt and drop in the ginger. Heat on medium for 10 minutes, then reduce to simmer. 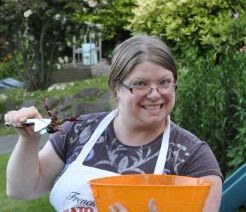 Stir in the honey until dissolved, then keep on low simmer for another 10 minutes. Strain and keep in a mason jar with tight lid for up to 1 week in the fridge. When warm, sip on 1/2 cup to ease bouts of nausea, alternating with plain water. Add to a hot green tea (my fave), add to water, and/or add ice if it's hot outside. To rewarm, use the stove top as microwaves are known to zap out the nutrients in the raw honey. Warning. Do not consume more than 2 cups per day as this could cause the same ill affects you are trying to avoid. I sipped on about a cup of warm brew whenever I felt nauseated. For B, I made him a concoction of ginger brew, kombucha, seltzer water and Gatorade which he sipped on during the worst bouts of vomiting. 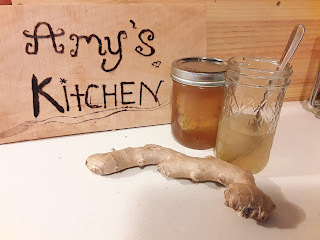 The actual plan for the ginger was to make homemade ginger ale using a home-brewed ginger syrup (ginger and honey), then mix with club soda to provide the fizz! That's next up!